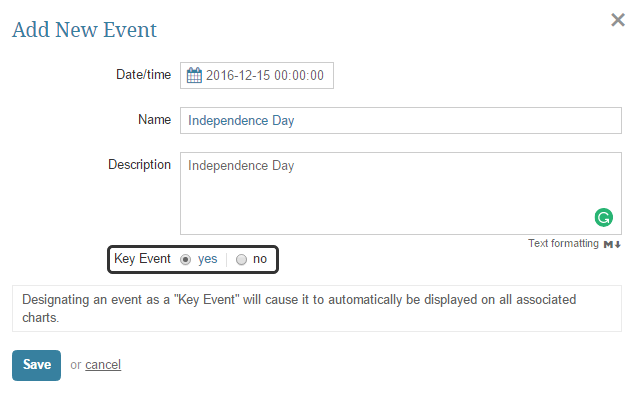 If you designate an Event as a Key Event, it is automatically displayed on ALL associated Metric and Multi-Metric Сharts. Whether or not the Key Event has impacted the Metric's results is not considered. Both the definition of a Key Event and its display properties are described in this article.